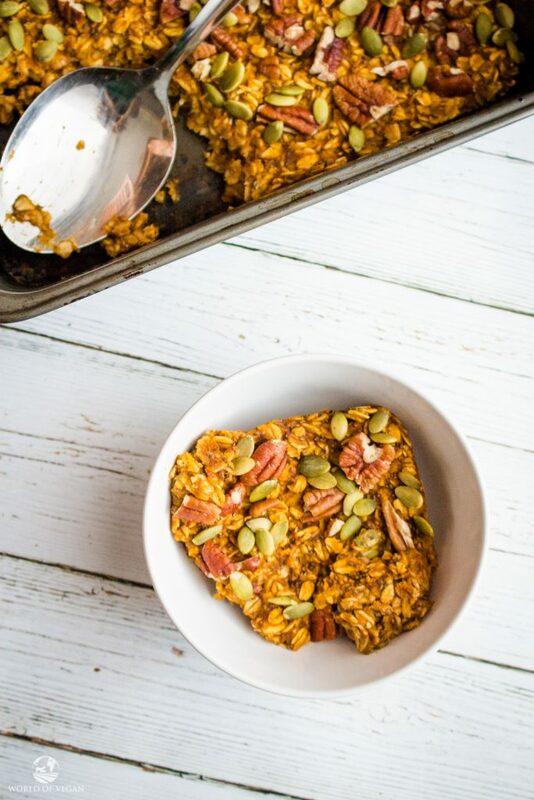 Vegan Pumpkin Baked Oatmeal | Fall Comfort Food! 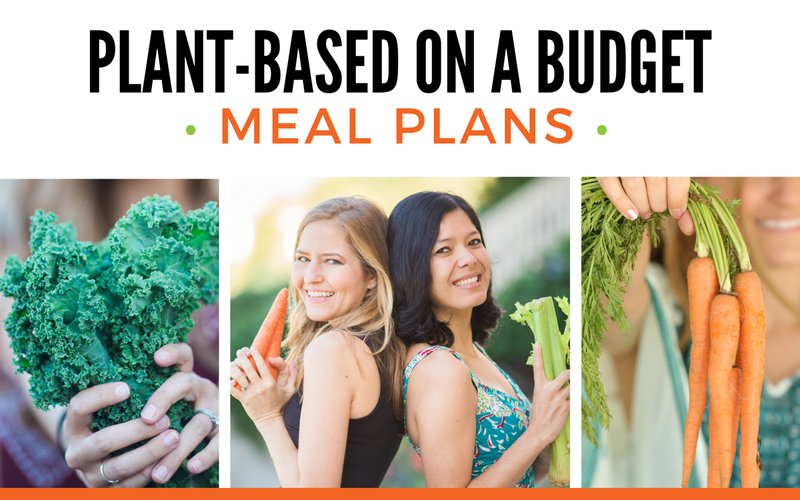 If you live in a cold climate like me, chances are you’re shying away from cold breakfast smoothies and wanting some warm, comforting meals instead. Being in Canada, when I wake up in the morning to a frosty window and the cold floor under my feet, I need a cup of tea and some soul food. As I write this, I’m staring out my window, looking at frosty roofs, and it’s not even winter! On days like this, I’m so grateful for dishes like Vegan Pumpkin Baked Oatmeal, which sure is hitting the spot right now. I actually rarely eat oatmeal as I’ve never been a huge fan of porridge type foods. Something about the texture just never pleased me. If you’re in the same boat as me, baked oats are truly a game changer. 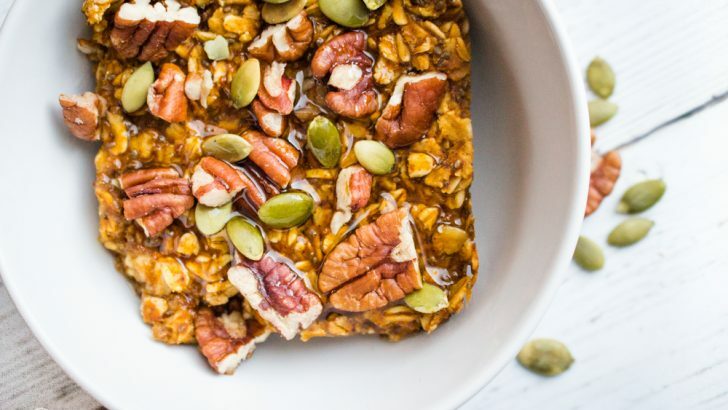 This vegan pumpkin baked oatmeal tastes more like a warm, hearty breakfast bar. It’s an awesome recipe because you can completely customize it each morning to make whatever flavor you want! 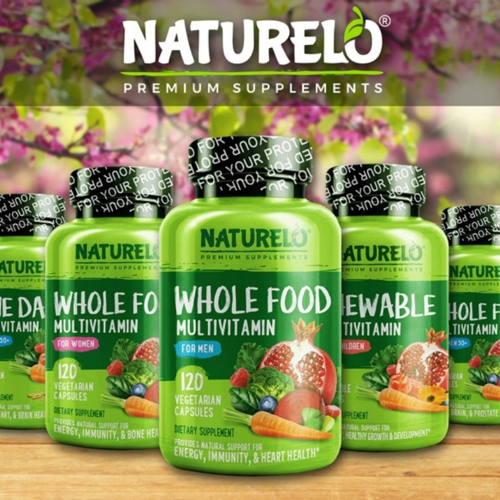 Add different nuts, seeds, spices, fruit, etc… to make it your own. 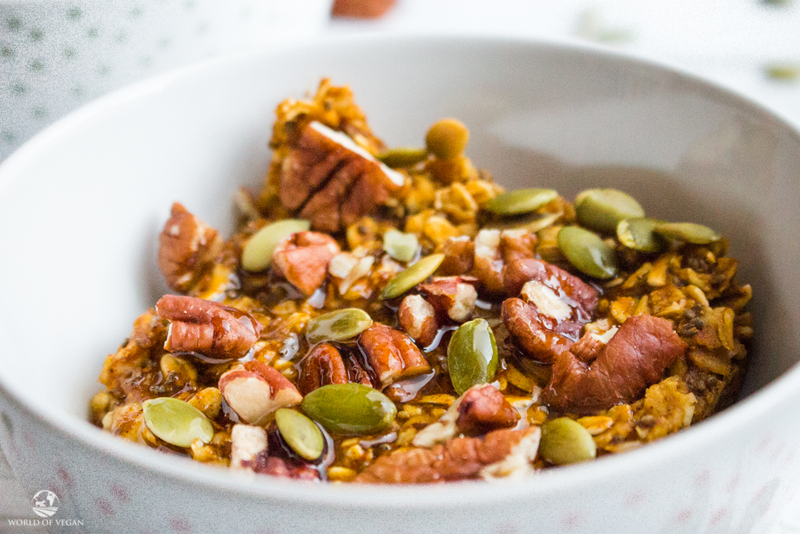 Sticking to local and seasonal foods, I decided to make pumpkin spice flavored baked oats. The warming spices are just that much more satisfying when you’re chilly! 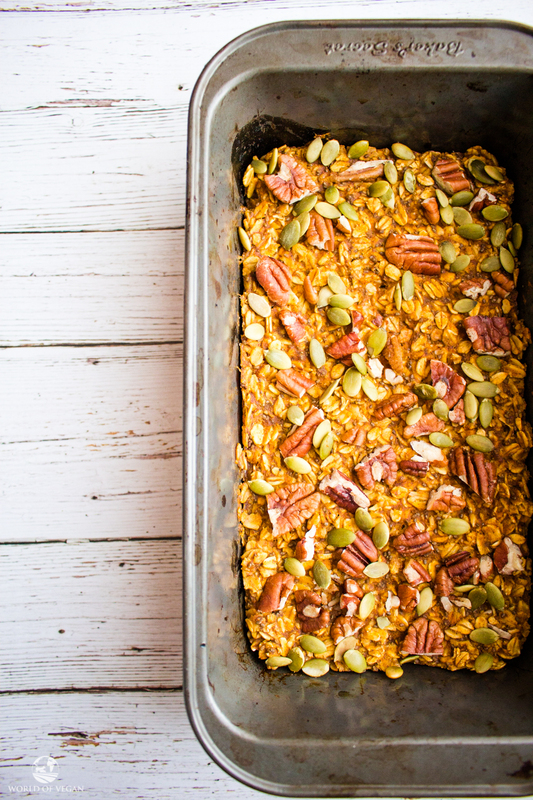 A sweet and perfectly spiced baked oatmeal! Preheat the oven to 350 degrees F. Gently grease a loaf pan with coconut oil or line it with parchment paper. Set aside. In a large bowl, add the oats, chia seeds, spices, baking powder, and salt. In a medium bowl, whisk together the milk, pumpkin puree, maple syrup, and vanilla. Add the liquid to the dry ingredients and mix to combine. Pour the oatmeal into the loaf pan. Sprinkle the pecans and pumpkin seeds on top of the oats. Bake for 15 minutes. Remove the oats from the oven and serve it immediately while it’s hot. Use a large spoon to scoop a serving into a bowl. Drizzle with maple syrup and enjoy! This recipe is also packed with nutrition. The oats are packed with fiber (yay prebiotics! ), pumpkin puree has Vitamin E, Vitamin C, Vitamin A, potassium, and iron, chia seeds are a superfood, and pecans and pumpkin seeds are a great source of protein. Plus, did you know that cinnamon is loaded with antioxidants? In fact, cinnamon is one of the most affordable sources of antioxidants out there! This recipe is a staple in my home because you can make a batch of it and have leftovers. Normally I never make more than one bowl of oatmeal at a time because leftover oatmeal just doesn’t taste right to me. But with baked oats it’s different and you can easily store and reheat a serving of this dish because the texture doesn’t change or get mushy. I would easily eat this for lunch, and even dessert too. 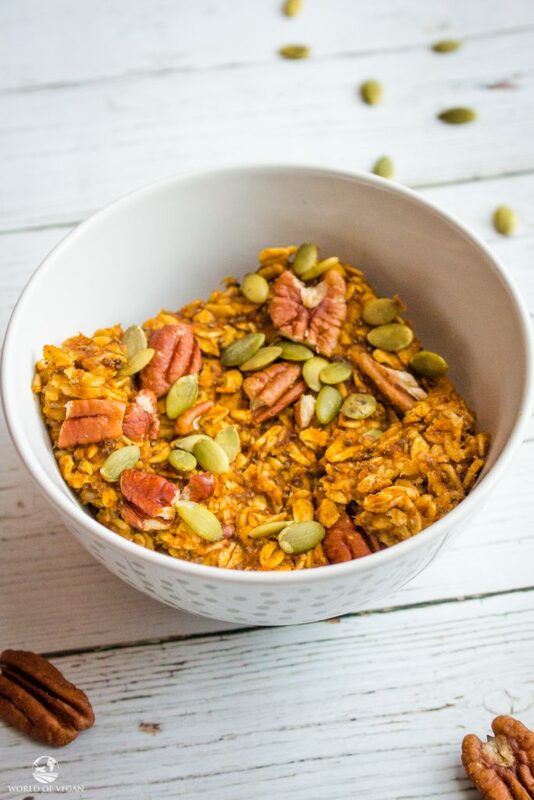 If you have kids who aren’t crazy about oatmeal because of the texture, definitely try out this vegan pumpkin baked oatmeal. It’s just as easy as making regular oats, if not easier because you can set it and forget it for 15 minutes! Kathy is a massively talented recipe developer here at World of Vegan. 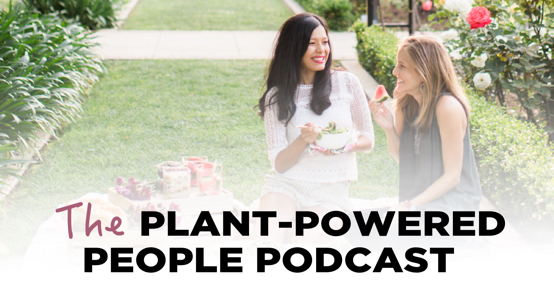 She studied Holistic Nutrition, and through a holistic approach to health care, she's been able to cure her acne, lose weight, eliminate headaches, and improve adrenal and thyroid function. She now helps others do the same. 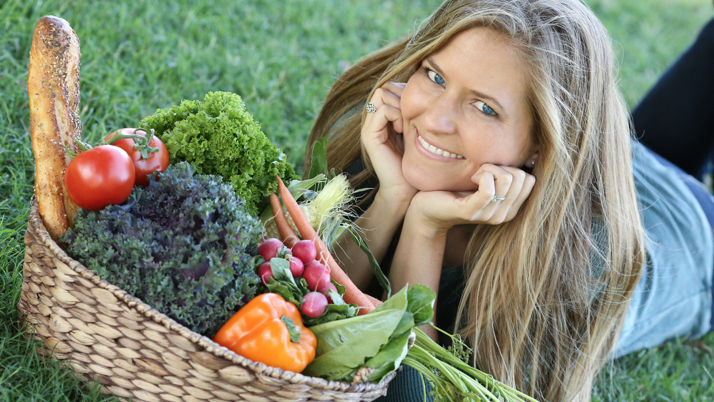 She has loved to cook from an early age and when she learned that it's easy to make healthy and delicious vegan recipes, she never went back!